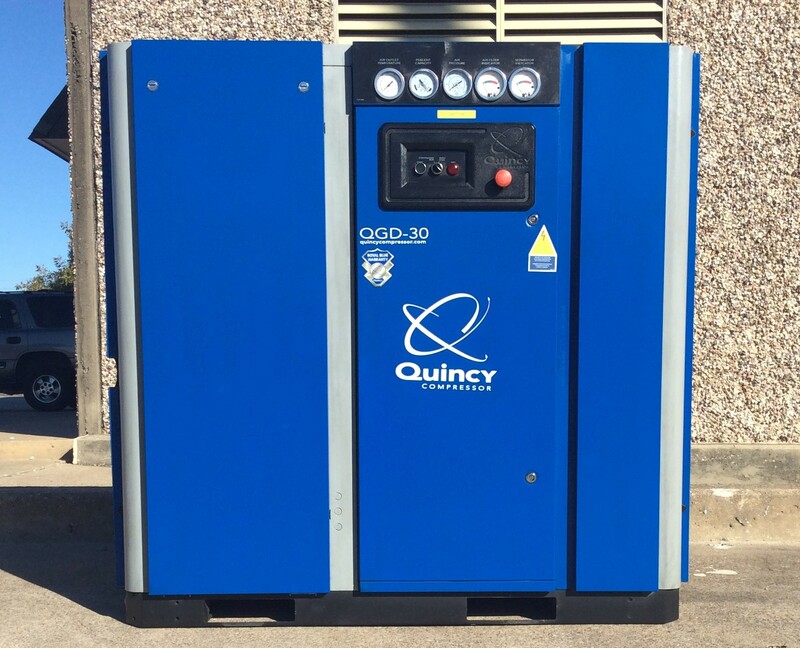 Quincy 30 HP QGD-30 in Stock. This machine is in excellent condition with only 14K run hours on it. It is a 2012 year model. When it comes to used screw compressors this is what you are looking for. This compressor would cost around $15,000.00 new, not including shipping, and taxes. At $9500 including shipping this is a true bargain. Call 972-533-4783 for more info.